Joint Pain? Try Out These Exercises And Say Goodbye To Them! Life’s tough, eh? I am sure it is. Career, jobs, family- everyone has some or the other element which is making your life tough. And woah! Experiencing some kind of body ache or pain is like a cherry on top. Pain is something which always keeps us on our nerves. It is something which never lets us be at ease- Struggling just like a bowler trying to take Sachin Tendulkar’s wicket. Joint Pain is an entity which is extremely common in our schedules, and it is more common in older Adults and Geriatric (Aged) Population. In aged people, joint pain is mostly due to the virtue of their age- the degenerative conditions that follow their progress. However, if you’re reading this, realizing you have a joint pain which is fairly common in your age- guys! wake up! Exercises are one of the best remedies one may be aware of. There are many exercises which may help you in relieving your joint pain. Weakness is the most important indication for exercises. Weakness indicates a lack of strength. How would you want a starving horse to run to its full potential? Joint pathologies such as Arthritis are diagnosed in every other patient. Regular exercises are a must for such patients. These are conditions which cause progressive deterioration of the whole body as a whole. Inculcate regular exercises to feel fit and free naturally. Bring your hands in front of your body at the level of your eyesight (i.e. Just 90 Degrees), then take your shoulder up towards the ceiling, as much as possible. Try this as it is one of the ideal exercises for joint pain that happen in shoulders. Following the opposite procedure as followed for the front stretch. Take your arms down towards the floor, and then try to take it back as much as possible. Stretching helps to relieve muscle tightness, which is a major cause for a majority of joint problems. These are exercises which are and can be predominantly used in patients diagnosed with frozen shoulder. The Schematic Picture should be of much help in making you learn the entire protocol easily. The exercise involves whole body movement. Hip is a joint which has interconnections with almost every joint in the body. 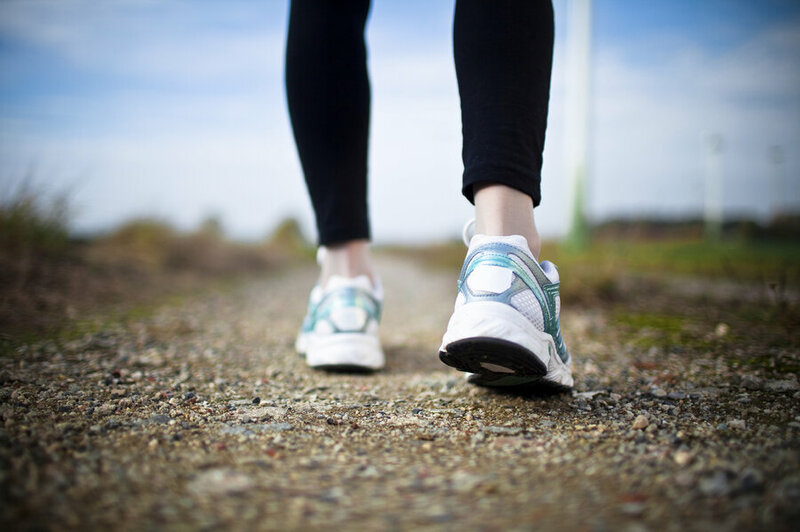 Regular brisk walking, even if done for 20 minutes a day, is one of the best exercises for joint pain. Walking involves whole body movement, which maintains the sync in every motion. Also, a morning walk makes us feel fresh, thanks to the oxygen, served fresh. If you know how to balance a cycle, strive to do it daily! Cycling is one of the best exercises- be it for fun, or strength training. Cycling mostly targets hips, knees, as well as our ankles. Do you know why fish is so healthy and nutritious? Because it swims daily! Swimming is a whole body workout, exercising almost each and every muscle in the body. Even if done for 30 minutes daily, swimming can show visible differences immediately. Please note that it is important for you to consult your doctor regarding your condition before trying out any of the above-listed conditions. Shivam Chopra belives a lot in healthcare! Not just because he is about to be a Doctor, but also because he belives in the power of changing lifestyle! By qualification he is an aspiring physiotherapist which helps in giving him practical knowledge. He is also a certified Aerobic Instructor from IAFT and a Physical therapist from Manual Therapy Foundation Of India. He is also certified for Basic Life Support (BLS) & CPR from Kokilaben Dhirubai Ambani Hospital, Mumbai. How to Handle Protein Deficiency in a Vegetarian Diet? Plank is all you need to stay fit in your busy life’s! This Six Pack Abs Diet Is Your Stepping Stone To A Fitter And Healthier Body! Arrow Remains Found In The Ribs Of A Deer: Survival Is A Miracle? Is Salt In Toothpaste Really Useful? History of Laughter: LOL! Laughter Too Has An Amazing History!